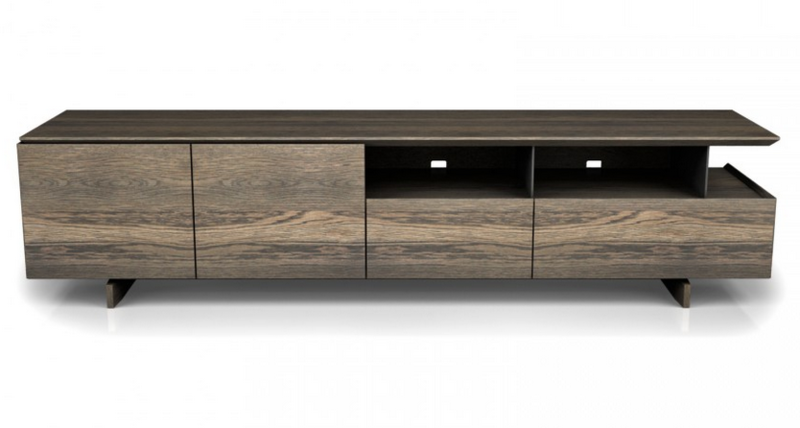 Made of North American white oak, the agora media unit boasts a beautiful, warm texture. The soberness of the design is offset with a hint of playful asymmetry and unexpected angles. 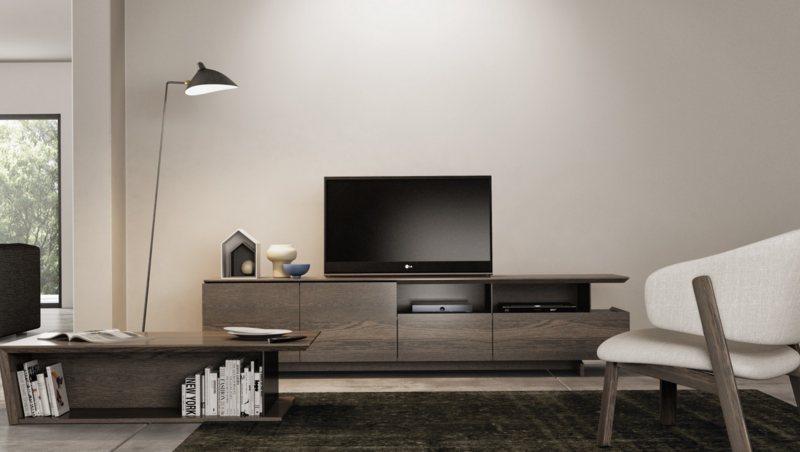 The linear effect of the media unit is subdued by inset vertical panels. For a little contrast and a touch of drama, the color and texture of the panels can be varied, as well as various wood stain colors are available to suit most taste.